Aster Vista 2Bedroom Apartment (No. 107) is tucked away in the serene lanes of Calangute. Away from the city chaos, this place should be your stay option when in Calangute! Promising a mesmerizing view of the greenery, this place promises comfortable furniture and space. 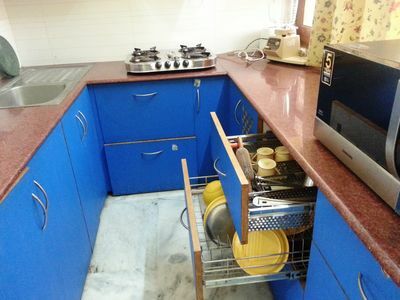 This 2BHK apartment has best in class amenities like TV, microwave and fully functional refrigerator. Suitable for a perfect holiday, you can choose to come here with your friends or family and let your hair down. The property is well-maintained with beautiful interiors and ait exudes a cosy vibe altogether. 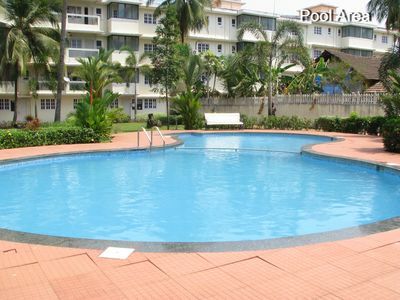 Aster Vista 2Bedroom Apartment (No. 107) will ensure that you have a time of your life and a worthwhile stay. Apart from this, the apartment is quite close to Calangute beach and hence saves a lot of travel time if you want to unwind at the beach. 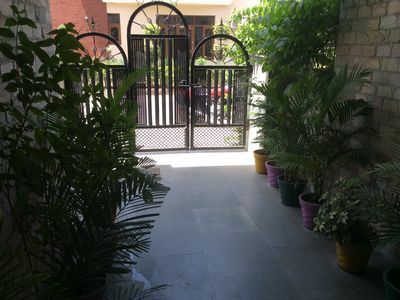 Guests have access to the entire apartment and all amenities in it. From the living room to the outdoor space, guests have access to all the sections of the apartment. Aster Vista 2Bedroom Apartment (No. 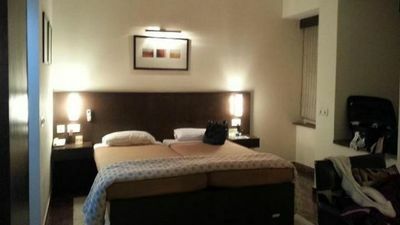 107) offers a perfect mix of budget, comfort and luxury. Private rooms with high-end amenities like flat screen TV, fast Wi-Fi and complete privacy are guaranteed. If requested, meals can be arranged by a trained chef at a mere cost. You can also access the kitchen and use the microwave as well. The kitchen is fully functional. Guests can cook their favourite dishes too! The host is not present at the property, but is always accessible via call or message. The property staff is also present to serve you on demand. 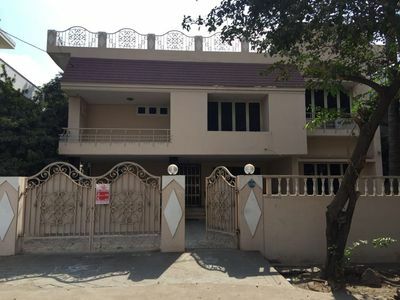 A trained and responsible caretaker is also present at the property to solve all your queries whenever required. You can direct your queries to your dedicated stay manager. A comfortable stay is assured altogether! 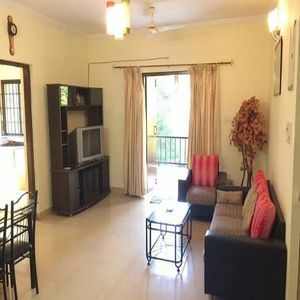 Aster Vista 2Bedroom Apartment (No. 107) is located in the serene lanes of Goa. With Calangute beach at a walking distance from the property, you can enjoy the various water sports activities; cafes and pubs here. The upper bedrooms of the property promise a great scenic view like no other! The nearest landmark is Eat Restaurant, Fat Fish Restaurant or the old Chapel. The local market is at a distance of approx5 min from this property. Apart from these convenient routes, the guests can also drive down to the beautiful property. Driver accommodation can also be provided at an additional cost. 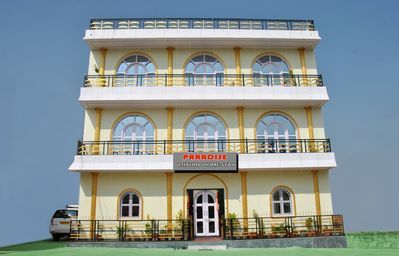 Paradie Luxury Homestay Khajuraho - A warm hospitality and personalise service!